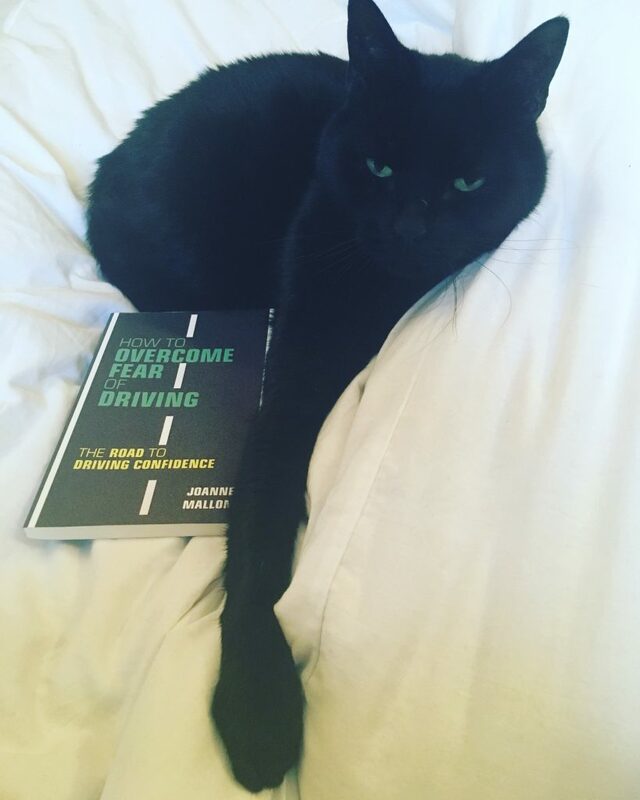 One of the most important messages of my book about fear of driving (modelled here by Dennis the cat) is that this is an extremely common fear shared by many, many people. Yet so few of them realise it. “I though I was the only one”, people told me again and again when I talked to them for the book. It’s like we’re all a bit broken, but assuming that everyone else is whole. Anxiety can be a very isolating condition in itself, and driving anxiety even more so. Driving feels like something any idiot can do, so if you can’t do it, what does that make you? Fear of driving isn’t talked about publicly very much, partly I think because of the lack of research into how widespread it is. 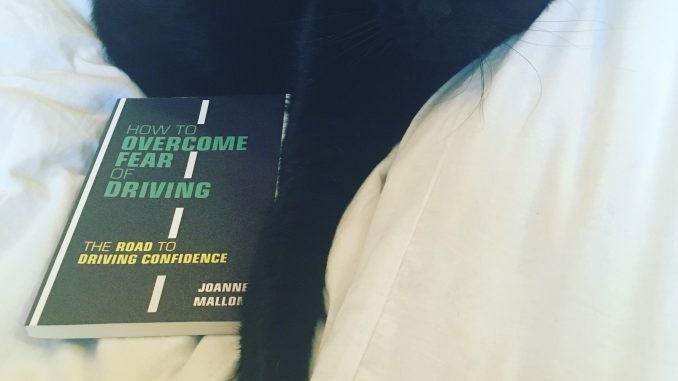 When I was writing the book I estimated that around 1 in 3 people had some form of anxiety about driving, but that was very much a guesstimate based on anecdotal evidence. That last stat is particularly shocking, because it’s saying that the vast majority of women experience anxiety about driving. This is our normal state. And as for me, as you will know if you read the book, I had an extreme case of driving phobia and didn’t drive at all for 7 years. It’s a horrible fear that nags and gnaws at you, constricts your life and makes you feel like a failure every day. But with a lot of perseverance I managed to overcome my fear of driving, so if I can do it then so can anyone. So can you. Be aware of the speed limit of the road you’re on and aim to keep to it. Driving too slowly can annoy other drivers and they may beep at you, which will only make you feel more anxious. Tell your passengers how they can help – are you happy to distract yourself by chatting in the car, or would you prefer no chat so you can concentrate? Make a playlist of feelgood, happy songs to lift your mood when driving – even better if you sing along. Similarly, comedy podcasts or a good audio book can be great mood enhancers and will distract you from anxiety. Think of a positive mantra/short phrase to repeat to yourself when driving – I usually say ‘Calm and confident’ even when I’m feeling anything but. Don’t drive hangry. Have a snack before driving to keep blood sugar levels steady. Driving on an empty stomach can trigger anxiety. Limit caffeine, it doesn’t help at all. Aim to drive somewhere new at least once a week. It doesn’t have to be a mammoth road trip – you could simply be driving down a new street. Driving somewhere new will help to stretch your comfort zone and help you feel more confident so you can deal with the unexpected. When driving somewhere new, plan a route first and look up the place on Google Earth so you can see where to park etc. You will feel more confident the more you know what to expect. Drive an automatic if you can. We switched to an automatic in the last year, and wow, what a difference. It’s like sailing through the streets in a bumper car. Except no bumps yet, thank goodness. But so much more relaxing than grappling with gears, I definitely recommend it.